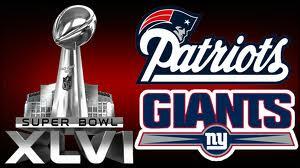 Beervana Buzz: Giants vs Pats: Who will buy the Beer? Like a lot of people, I tend to think political figures wagering on the outcomes of games is silly. We see it all the time. Mayors vs. mayors. Governors vs. governors. Gov. Kitzhaber recently picked up on some Wisconsin goodies courtesy of Oregon's win in the Rose Bowl. They're at it again for the Super Bowl. Sen. Charles Schumer of New York is putting beer from six New York breweries (Brown's, Brooklyn, Blue Point, Saranac, Captain Lawrence and Ithaca) on the Giants. His opponent, New Hampshire Sen. Jeanne Shaheen, is putting up Smuttynose beer from her state on the Patriots. If the Giants win the game, the entire Senate will be treated to beers from the New York breweries, paid for by Shaheen. Should the Pats win, the Senate will get New Hampshire beer paid for by Schumer. Where are the Massachusetts senators in this mix? It's a mystery. And what about New Jersey senators? The Giants do play in New Jersey. I digress. The last time these teams played in the Super Bowl, New England was heavily favored and trying to complete a perfect season. New York pulled off a huge upset, thanks to tough defense and some freakish plays down the stretch. This time around, the Patriots are again favored. We're talking small numbers this time...a field goal. It almost makes sense. The Patriots earned the top seed in the AFC, but they were not nearly as dominant as they were in 2007. To get to the Super Bowl, New England demolished Denver and squeaked by Baltimore, both home games. The Giants weren't dominant, either. They got hot late in the year and earned a spot in the playoffs by beating Dallas in the final regular season game. They opened the playoffs by soundly beating Atlanta at home. They then beat the NFC's two top seeds, Green Bay and San Francisco, on the road. If you're trying to figure out who will buy the beer (Schumer or Shaheen), I suspect you need merely review what these teams have done in the playoffs and the relative strength of their respective conferences. Their prior Super Bowl result means next to nothing. Look, I'll be rooting for the Patriots. I actually enjoy the way Belichick hoodwinks other teams, coaches and the gullible media. Tom Brady isn't my favorite quarterback, but I like him a whole lot more than the dork, Eli. Did I mention I don't care for Tom Coughlin, the man with the perpetual scowl? The AFC as a whole was far weaker than the NFC this year. The three best teams in the NFL during the regular season were Green Bay, San Francisco and New Orleans. The AFC didn't have any teams as good as these three, in my view, including New England. New England got to the Super Bowl the easy way, winning two games at home against flawed teams. Denver is a team with a poor offense and decent defense. They were shredded by the Pats. Baltimore has a great defense and not much offense, yet the Pats barely won. New York got there the hard way, beating the top two teams in the NFC on the road. I don't put too much weight on the Green Bay result. The Packers didn't show up for that game. But beating a rugged San Francisco team on the road was a tall order. Much as I hate to admit, the Giants are a well-balanced team on a roll. I don't see them having too much trouble moving the ball against New England's soft defense. Meanwhile, the Giants defense is going to harass Brady and make it tough for New England to score at will. The game may be close, and it may well be decided by turnovers...these games often are. In the end, I think Shaheen is going to be buying New York beers for the Senate. Hopefully I'm wrong.